SkyCiv records all the revisions of your files, so as you build your structure you can roll back a previous version. This also means you only need one file, and don’t need to make constant copies and changes to filenames, e.g. Project v1 or Project v2 final. You project is stored as one clean file, yet contains all previous revisions for you to access at anytime. You can also track who made the changes to your file if you have it shared with other members of your team. It’s easy to roll back a previous version, simply open the file and visit File -> Manage Previous Versions which will open up a popup, allowing you to roll back saved versions. The version you are currently on will still remain. 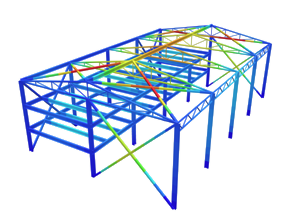 We understand it is important for engineers to keep documentation and storage of previous projects. 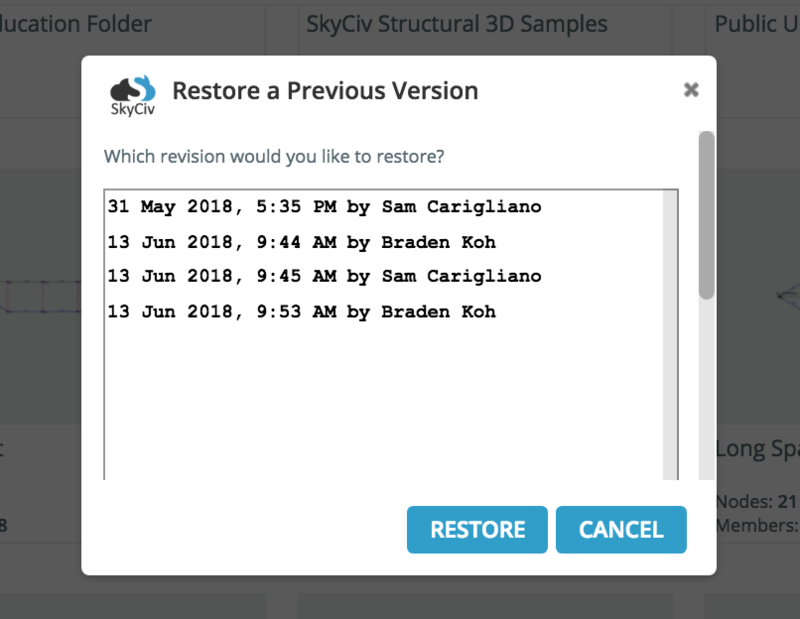 SkyCiv will not delete your files – even if you have cancelled your subscription. You can also export the entire contents of your model File -> Export -> JSON and store them locally, so you always have your files when and where you need them.